The bonus acoustic songs include the title track “Big Slice,” “Seize The Day,” “Burn Bright,” “Haley,” and “The Deep End,” and will be made available as a digital EP as well entitled Big Slice Unplugged at https://itunes.apple.com/ca/album/big-slice-unplugged-ep, for fans that have already purchased the album. 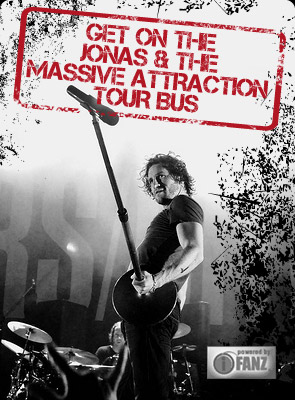 Jonas & The Massive Attraction gave fans in Montreal a chance to hear the songs in advance with their first ever full band acoustic performance in the intimate setting of L’Astral in on September 10, 2011. The response from fans on the band’s Facebook page the next day confirmed it was a spectacular night and created high anticipation of the relaunch of the album.